And, in continuation of this ad-hoc series of it’s not always about environmental history, here is a shot of Kapiti Island a few minutes after the previous one. 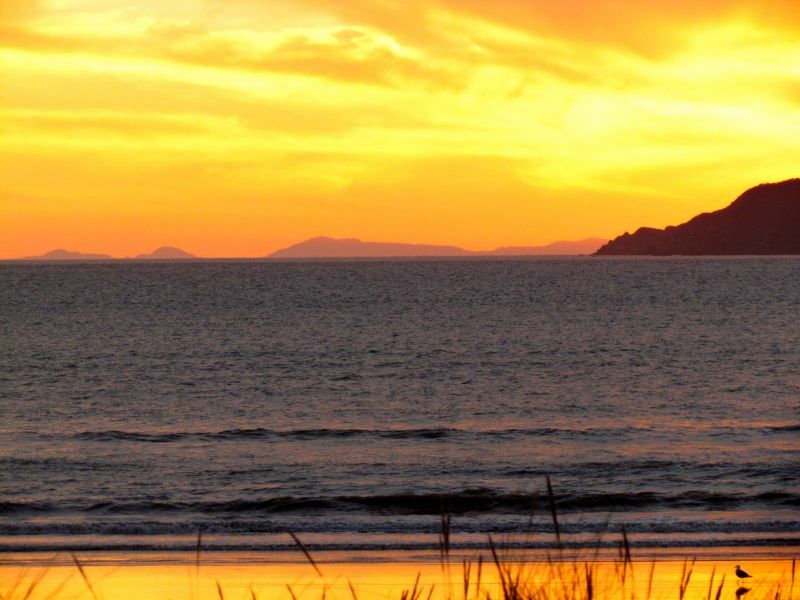 This is another example of “it’s not really about environmental history“, but I couldn’t resist sharing this shot taken from Paraparaumu beach at sunset yesterday. 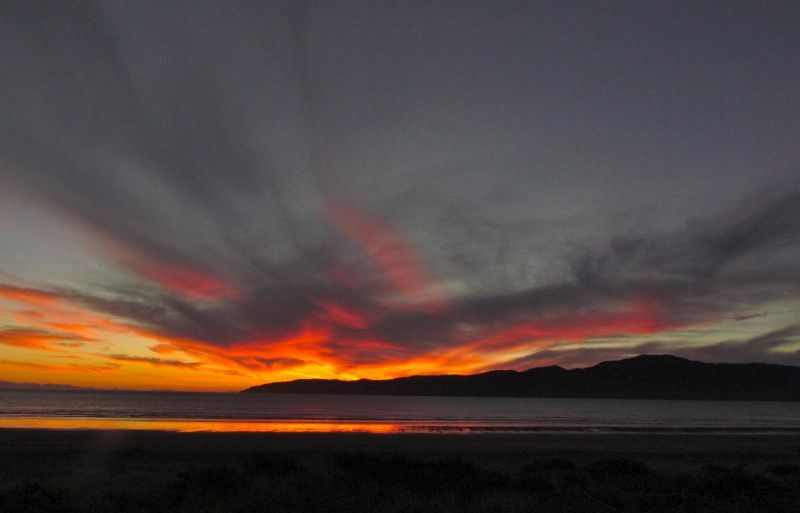 In the foreground is Kapiti Island, and in the background is the top of the South Island – a reminder that a not insignificant amount of the South Island is in fact further north than the lower end of the North Island. This maybe highlights the perils of naming a place after a seemingly self-evident geographic characteristic – but then, “Mostly South Island” and “Mostly North Island” does seem a bit clumsy. Perhaps “Middle Island” was more accurate after all!